In 1847, Brigham Young prophesied that "in the process of time, the shores of the Pacific may yet be overlooked from the Temple of the Lord." In the 1920s, Elder George Albert Smith had a vision that a temple on the East Bay hills would be a beacon to the whole area. When President David O. McKay announced that the Oakland Temple would be built, he declared, "We feel that the time has come when these prophecies should be fulfilled." During the dedication service, then-Elder Gordon B. Hinckley stated: "This temple is not only a thing of beauty and of joy to those who see it. It is a living expression of a testimony." 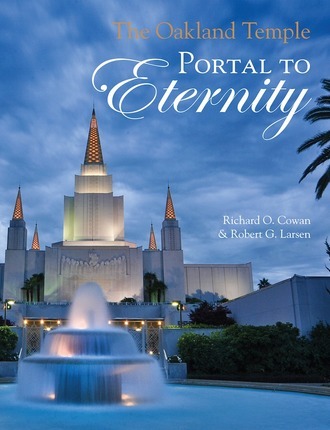 This book tells the story of the temple from early prophecy to construction and dedication and through its jubilee. The story is enhanced with beautiful and historic images, including many color photographs. ROBERT G. LARSEN earned a master's degree in psychology from the University of California at Berkeley and another in public administration from California State University at Hayward. A long-time resident of East Bay, he had a keen interest in collecting and analyzing Latter-day Saint history in the area. Robert passed away in August 2013.